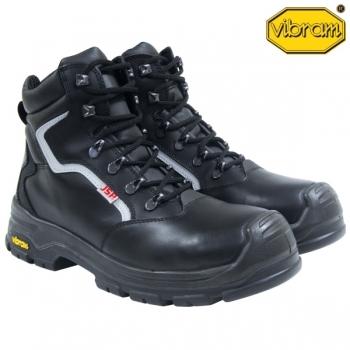 Highly durable water resistant S3 safety boot, with light PU/Rubber sole. Features refelective strips for added visibiltiy and extra thick scuff cap for added safety and durability. Oil & Heat resistant to 300 °C. Conforms to EN 20345.